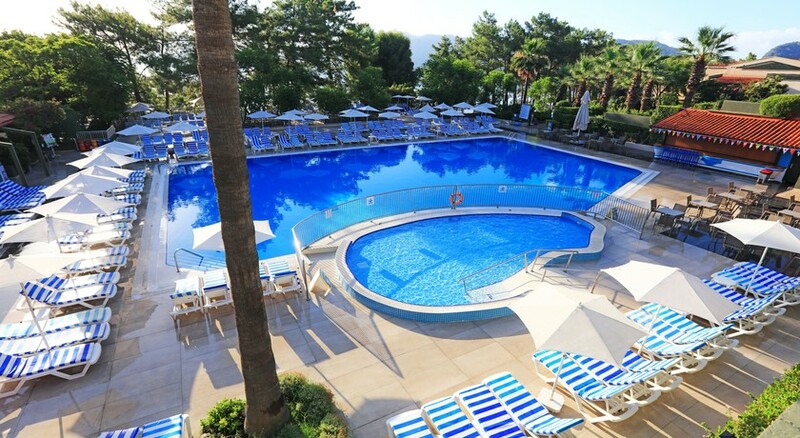 The Labranda Mares Marmaris Hotel is a 5-star resort that provides guests with the chance to enjoy all that this magnificent hotel offers. From the beachfront location to the vast array of facilities and gorgeous pools, it offers the perfect getaway for families and couples alike. 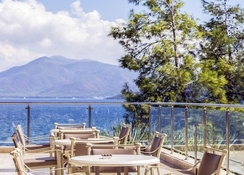 Set in extensive gardens with sunny terraces, the Labranda Mares Marmaris Hotel is all about giving guests a touch of luxury in a location that offers privacy and tranquillity. With water sports, attractions, large pools and dining options, the hotel has everything covered. For guests looking for the perfect sunshine holiday, this complex certainly ticks every box. The hotel is perfectly located for those who want to explore the local area or simply take things easy around the relaxing pool. For guests looking for something more active, there are hiking trails and mountains to explore and the resort of Icmeler has plenty of options when it comes to restaurants, bars and shops. There are water sports available for those who like to get the pulse racing as well as diving and sailing as well as a selection of water parks and shopping centres. 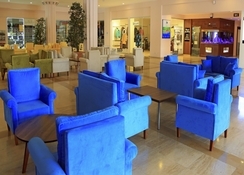 The hotel is 90km from Dalaman Airport and 150km from Bodrum Airport. Guests can experience style and luxury in abundance when they choose to stay in one of the 440 air-conditioned rooms. With Suites, Villas and Rooms available, guests are sure to find an accommodation option that fits their needs. All rooms are tastefully designed with classy décor and subtle colours that enhance the comfort and feeling of space. All rooms come with a private bathroom, minibar, telephone, safety deposit box, hairdryer and balcony. Guests are spoilt for choice when it comes to dining. There are a number of dining facilities on offer including the main restaurant where guests can delve into the wide choice of dished for breakfast, lunch and dinner while there is a pizzeria for those who want a simple choice. 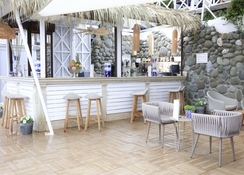 The seafood a la carte restaurant offers luxury dining where guests are waited on while the lobby bar, pool, bar, beach bar and disco bar ensure that guests are always able to grab a refreshing drink. The hotel has plenty to offer guests when it comes to activities and entertainment. The outdoor pool is the perfect place to take it easy and soak up the sun while the Omega Dolphin Therapy & Activity centre offers treatments, Turkish bath, Jacuzzi and a gym for those looking to keep active. Children can enjoy the two pools as well as the playground, mini club and kids disco and there is a junior club for those older children looking for something to keep them busy. There is a range of sports available including tennis and basketball while an array of water sports are available at the local beach. Great holiday, entertainment staff were fantastic nothing was to much trouble. Very nice resort and freindly environment. Good service from all staff especially from the waiters. nice hotel with great staff and amazing private beech by the sea. food was nice during day when could use other restaurants on site rather than main buffet. main buffet not great ended up going into marmaris and eating in some lovely restaurants but plenty of activity all day long about the pool and in evenings. Avoid!! Advertised as 4* would hardly scrape 2*! Hotel itself was overcrowded with little evening entertainment which left people desperately looking for somewhere to sit to enjoy drinks in the evening. You could either sit in the reception area or in the only outside bar which was fine if you enjoy karaoke or bingo! The rooms were far from the 4* standard that was advertised and were poorly maintained - the plaster was falling off in places and there were areas of mould in the bathroom with a damp smell - we also found rubbish swept under the beds!. Food was very limited and often covered in flies where it was left open, all inclusive drinks were house wine/spirits or draught beer only. Staff were in the majority unhelpful and uninterested; and the gourmet restaurants were rubbish - the 'italian' was a pizza bar in the day and offered nothing extra in the evening when converted to an 'a la carte' italian experience - we walked out as our starters had been left on the table before we arrived (you have to book in advance to get one of these select places!) and the table was outside with a multitude of feral cats roaming around. Our room was flooded one morning when we woke up (an issue with an empty apartment next door) and all they wanted to do was change our bedding which had soaked up water rather than move us due to the smell! I would never re-visit this hotel or go all-inclusive again - we ended up going out each day and eating in a restaurant of choice in the town rather than have to go to the hotel canteen. The brochure states you have to dress for dinner but people were coming in with shirts undone to the waist with shorts and flipflops - we were advised that the dress code would have to be adhered to in the evenings and shorts would not be allowed! The whole experience was hideous and we would not recommend a single thing!